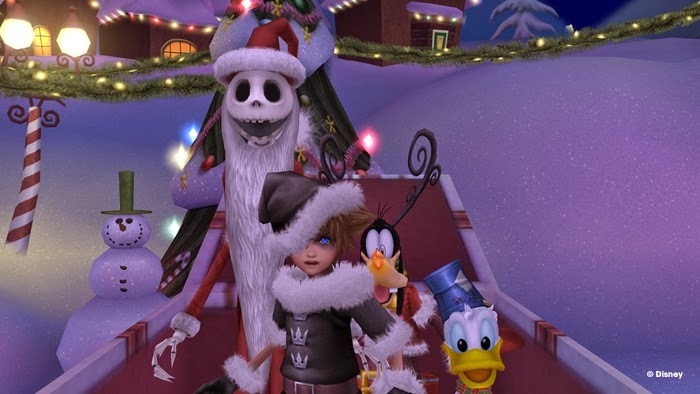 Kingdom Hearts fans will have something special on their holiday wishlist as Kingdom Hearts HD 2.5 ReMIX is set to launch later this year on December 2 in North America and December 5 in Europe. Like the first ReMIX, this second one will be exclusive to the PlayStation 3 and priced at $39.99. Thanks to the new high-definition collection, Kingdom Hearts II Final Mix and Birth By Sleep Final Mix will be available for the first time in Japan. The Final Mix releases feature long-awaited new content and gameplay improvements. Also included are remastered cinematics from Kingdom Hearts Re:coded, which will also include brand new footage not found in the original game.